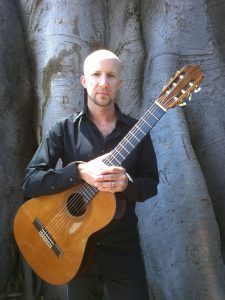 The Pima Community College Music Department will present a faculty recital with Michael Lich, a classical guitarist, banjo-player, arranger and composer. The performance will include pieces by Bach, Brouwer, Dyens, Lich and Piazzolla. Lich is also an instructor at PCC, where he teaches classroom and studio guitar. Along with performing solo classical guitar and chamber music concerts, Lich regularly performs on banjo with his jazz/bluegrass group Noctrane. Lich performs a wide variety of musical styles including classical, jazz and bluegrass. His performing career has taken him to such far-flung places as Skagway, Alaska; Rio de Janeiro; Seoul, South Korea; Frankfurt, Germany; and most recently Mexico. For ticket information, contact the box office at 206-6986 or centerforthearts@pima.edu. Box office hours are noon to 5 p.m. Tuesdays through Fridays and one hour prior to each performance.